After 3 days of input and intense exchange and lots of small group work, everybody of the very diverse group of participants did a microteach on day 4 – wow, what a collection of good sessions on so many interesting topics! This highlight was followed by a Q&A in the evening and a talk by Chris about the Permaculture Network in Nepal and then a final Sauna… before we rounded it off on Friday and most people went home. Most – but not all: some stayed on and a few more joined for a Tutors’ Training with Aranya, who is a senior tutor in the british Permaculture Diploma Pathway. During this weekend, we looked at the wonderfully abundant presence of 4 different diploma systems (GB, GE, Austria and Portugal) and then dived into examining different Diploma Portfolios, comparing and discussing them and sharing about what makes good tutoring. The list became quite long and the whole training turned into a working weekend somehow with us taking home to dos – this was not what we intended! At the same time this goes to show how committed we feel towards German permaculture education system. And during this weekend, there was still space for personal sharing, going for a walk in the beautiful december sunshine – and for planting a tree! 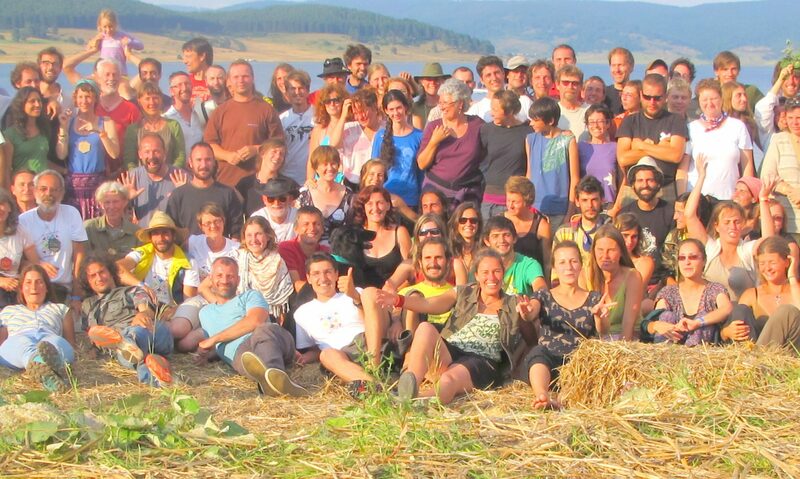 The German Permaculture Diploma Pathway probably offers one of the closest support systems during the training in Europe. From a long distance course to help people into self-organized learning through deepening courses on a wide number of Permaculture topics to an Advanced Design Course the students get a lot of help alongside to the meetings with their tutors. Still, there are always quite a few people dropping out of the Diploma Pathway after the first year or over time. And some elements really need some tweaking to work better. So, in November 2014, a team of 8 people from different areas of the Permaculture Education system in German sat together for 4 days to tweak and re-design the Diploma Pathway and generally offers around Permaculture by the German Permaculture Academy. Before the meeting, several surveys have been done among students, students that quit the training and tutors to get feedback on the current system. a) tweaking elements of the existing system so that the work flows better. b) working out different scenarios of more diverse Permaculture trainings in which people can deepen their knowledge after a PDC – so that we can answer different needs. – There will be a strand which will address the need for more practical skills (e.g. “how do I construct a composting toilet?”) – including mini-design sessions about placement of the respective element that is being worked out. – A second strand will address the need for personal transformation – a one year training with a fixed group, including a start workshop and an end workshop, a personal design project, sharing workshops and phone conferences. – The third strand will be the Permaculture Diploma Pathway, which will have the internationally recognized Certificate and will be for those that want to work professionally in the field of Permaculture. These new developments will be presented at the next network meeting happening mid-February and if the wider network of the German Academy and Association agrees, we will take several years to implement them, as we have to transition out of the existing system… we will keep you up to date!